Planetary Health Diet | could your diet SAVE THE WORLD? Scientists think it can go a long way to doing so! My eco-goddess girlfriend, Candice Batista, asked me to weigh-in on the diet that been newly proposed to help save our planet. The “Planetary Health Diet" has been designed by an international team of scientists with the intention of improving health while ensuring sustainable food production which will reduce further damage to Earth. Click here to read a wonderful summary of the Planetary Health Diet. 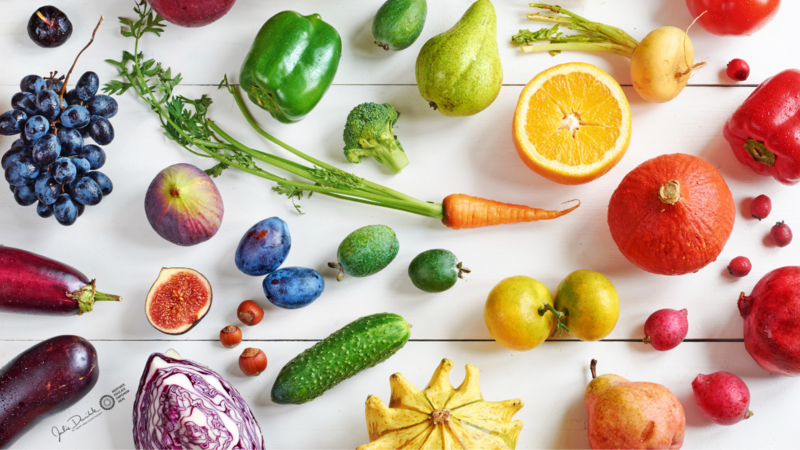 The Planetary Health Diet suggests cutting your red meat and sugar consumption in half and upping your intake of fruits, vegetables and nuts. Medical journal, The Lancet, reports it could prevent up to 11.6 million premature deaths without harming the planet. "The stakes are very high," says Dr. Richard Horton, editor-in-chief at The Lancet, noting that 1 billion people live in hunger and 2 billion people eat too much of the wrong foods. Did you know that our population will balloon to 10 billion people by 2050? This explosive growth, combined with our current diet, is a recipe for planetary disaster. Do the recommendations go far enough? I think the recommendations could go even further, without any extra strain on resources. I believe we can all work to reduce the amount of food wasted in North America – we currently waste about 60%! Educating ourselves and others on how to reduce that number sure will help. I believe that not enough people know the benefits of, or how to, forage for 'free' foods that are abundant in our natural local environment. Learning plant identification and proper preparation can ensure powerful nutrition on a slim budget. Plus, foraging and cooking is so much fun! Click here to check out Candice’s awesome planet-saving tips. What's good about the Planetary Health Diet? The Planetary Health Diet recommends a drastic reduction in red meat because it takes 10 times the resources to grow animal protein than to grow vegan protein. The Planetary Health Diet focuses on eating more vegetables! With all the folate (Vitamin B9), this is great for your liver and brain, AND is wonderful for Earth because broad-leafed plants reduce CO2 in the air and work as air filters! The Planetary Health Diet focuses on fruit which means more trees would be grown. Trees are the lungs of the Earth and increase the amount of oxygen in circulation! So much fruit is wasted and programs, like Toronto's Not Far From The Tree, rallies help for fruit picking, thus providing 1/3 of a tree’s harvest to the owner, 1/3 to the pickers and 1/3 to people in need! What would I do to improve the Planetary Health Diet? CUT OUT ADDED SUGARS ENTIRELY. Refined sugar is a leading cause of inflammation and ill health! Sugar will get consumed anyway, so no need to suggest it on the menu. DOUBLE-UP YOUR DAILY AMOUNT OF HEALTHY FATS. Growing healthy oils, like olive and avocado, can increase tree groves and reduce obesity and heart disease. TAKE CARE WITH GRAINS AND ENCOURAGE FORAGING. The amount of grains on the menu may strain the Earth due to mono-crop farming and increased use of pesticides. Instead of relying solely on farmed grains, I think it would be good to highlight the many plants that can be foraged, naturally. By eating the natural crop, instead of those sprayed it with glyphosate, the biodiversity of plant and animal species is increased! Let’s move toward this earth-friendly diet with gusto by making even better choices for the planet and it's people!